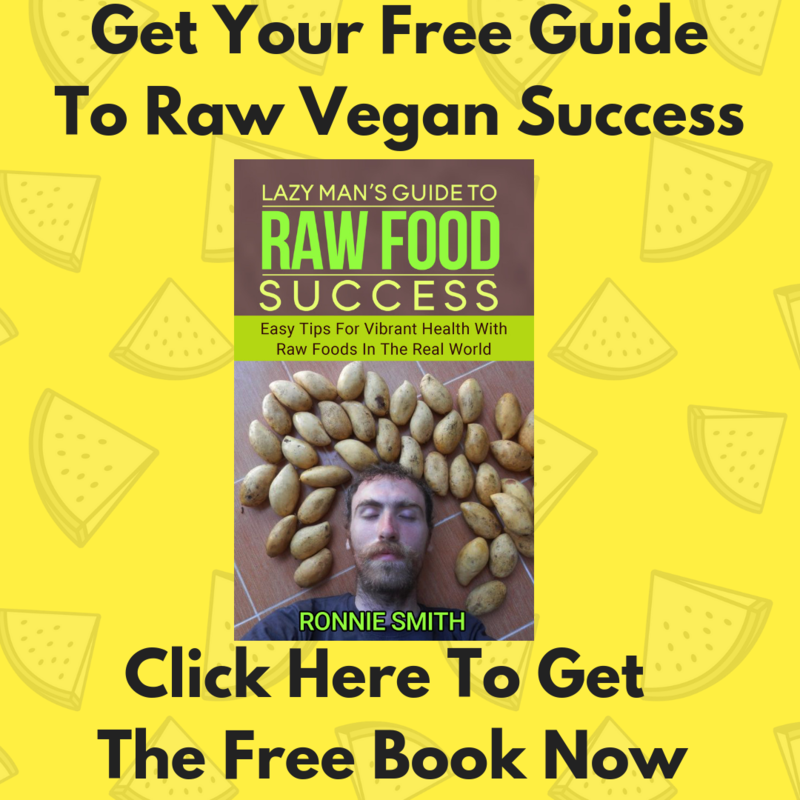 Learn About The Raw Vegan Lifestyle! What Have Others Said About The Festival? Can you imagine how supreme you will feel after 5 days of mouthwatering fruit and simple but delicious raw vegan meals, while surrounded by hundreds of people supporting you, smiling at you, wanting to be your friend? 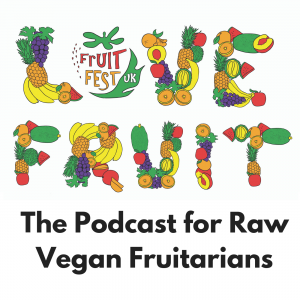 Can you imagine meeting a tribe of health-focused, heart-centred fruit-lovers who wish to live a cruelty free lifestyle and play their part in creating a paradise on Earth for all?? You will learn that a raw vegan diet can not only be easy, but also fun, delicious and simple to maintain for a lifetime! This is what Fruitfest is all about…and if this rings true for you, we want you to join us. No, we DEMAND it! Before I tell you more about this year’s event. Let me tell you a little about the history. In 2013, I personally attended 5 fruit festivals around the world. These festivals all had ONE thing in common: None of them were in the UK! Yet, many of them had attendees that had travelled from the UK to be at these unique events. They had travelled ACROSS OCEANS to get an opportunity to learn about this lifestyle. I knew there was a passionate and growing community pursuing and promoting this lifestyle in the UK. Thousands of people seemed to be part of many online forums. Surely, a festival in the UK would be a huge success? The idea came together to put on a festival in the UK. It seemed like the logical next step. But for me personally it was an almighty step into the unknown. It was an opportunity to do something amazing yet so far out of my own comfort zone. I secured the help of friends but collectively none of us really had the experience…. we just had the passion to give it our best. The first Fruitfest went ahead in June 2014. In many ways it was a huge success. Lots of people enjoyed the event. The food was great and the presenters felt they had given their very best presentations. But the stark reality of the event was that it was a failure financially. There was nowhere near enough people in attendance to cover the large expenses involved. I had been naive about how easy it would be. I thought we would immediately get the support of the raw vegan community in the UK. It was much harder than I thought! I had to look in the mirror and ask myself if it was worth continuing…. When I thought about this over and over I remembered that Fruitfest was not created for financial success. It was created to spread an important idea to as many people as possible. I was inspired by the good messages I had from many people talking about how much they loved the festival and were desperate to come back. I also thought about what had inspired me to put on the event. I had never really thought about the business side or the money side. That wasn’t the main inspiration. The exciting thing was the lives we could touch and the people we would meet. The excitement of helping to create a movement. A movement that could spread out far and touch people across the world and across the generations. The vision of the fruitfest was now clear…. to people that are pursuing a raw vegan lifestyle. But above that my vision is for the event and organisation to grow. It would be amazing to have thousands of people attending an enormous gathering with live music, large dance parties and thousands of tonnes of delicious exotic fruit. Of course it is one step at a time. Right now, my aim is to provide incredible value to you, your friends and family at this event. To that endeavour, I have made sure we have a collection of the best educators in the movement providing our education. We have a company we can rely on providing us with high quality fruit. We have the world’s best raw vegan chefs leading our kitchen. 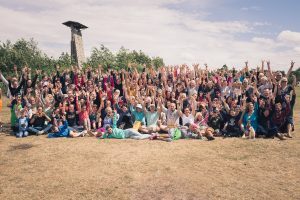 On top of that, there will fitness, fun, games and time in abundance to meet and speak to your new friends and new tribe! 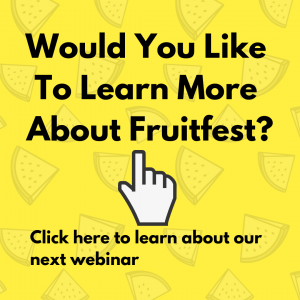 Why YOU should come to Fruit Fest 2019? Listen, when I first became aware of the raw vegan diet I became a passionate and obsessed researcher on the subject. I watched countless hours of videos. I read the books. I read the articles…..
….. but I just couldn’t make it all work for me. It wasn’t until I attended a fruit festival and met other people that I was able to make a long term change to the raw diet. Not only were all my questions answered, which gave me a great deal of confidence, but I was able to meet and watch others that were doing this lifestyle long term. I was able to pick up tips from them I could not get from books. Not only that, but I now had a commuity of new friends. Friends to share my journey with and stay inspired. That really helped me keep to the path. “we are the average of the 5 people we spend the most time with”. If that is true, then being surrounded by hundreds of people eating a raw vegan diet for 5 days will give you the best opportunity to go raw. Healthy habits, attitudes and thoughts are infectious. We pick these up from people around us. We all go home with new habits that will help us live a healthier, longer life! The danger of free online content is how do we know someone has not just made something up? Or perhaps they have got some information confused but they are presenting it as completely factual. Some people online are quoting information from out of date books. Books that were pure opnion at the time and have either been disproven or have never been shown to be correct. Even if you are being set just a little bit off course by innacurate information, over a lifetime that will mean you are way off where you want to be. 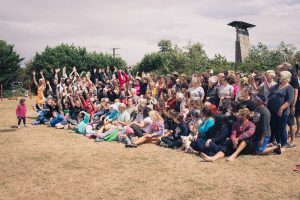 The special thing about the teachers at Fruitfest is that they have not only found something that works for them, they have found something that works for others. They have helped thousands of others to make that transition. Why not come to Fruitfest and get the directions, the advice and information that will set you in the direction of your greatest health goals? If health is a journey, we all need a North Star to navigate towards and a Navigator to steer us in the right direction. As long as we are heading in that direction, no matter how slow, we will inevitably be pulled, like a magnet towards our destiny. The funny thing is that many of the better online teachers are students of our team of speakers at this festival. Wouldn’t you rather go to the source directly? Hear them speak for yourself. Spend time with them. Eat dinner with them. Shake their hand. Discuss with them your worries and fears and test them with your hardest questions? I know that having that experience, of meetings speakers face to face, really helped me to change for good. Or maybe you know it all and don’t need to learn anything new? What is inspiring to me at the festival is seeing people that have been raw for decades willing to sit down and listen to others. They say the mind is like a parachute; it works best when open! Our teachers are dedicated to their own self education. They are committed and to making sure that the information that they put out there is completely accurate. They are motivated to learn more. If you have been around this community long term, and have been raw for years, you may think you know it all. But pause for a moment. Is there really no scope for improvement in your health journey? Are there not new things you can learn? Every year I challenge the speakers old and new to come up with highly original information. Brand new talks that they have never given before. There is always something new and fascinating to learn. But even when I am listening to a talk I have heard before, I always take something new out of it. Something that I ignored before and didn’t realise was important. At the festival, you will be surrounded by other long term raw vegans. This is a great opportunity to connect with like minded people and share your personal journey. If you have not been at the festival you don’t know how great that feels! In reality, if you are not raw or vegan yet, this is a great reason to come. It shows a lot of courage to come to something like this. Especially if you think that you might not fit in. Truthfully, you will be amazed at how quickly you will meet friends. The truth is that most people are just starting off and still have further to go. The festival is a place to get that encouragement and move in the right direction. People of all shapes and sizes attend. All levels of fitness. No one is judged for not being perfect or not being 100% raw. We are a supportive community and we know that judging and criticising people won’t help anyone. At the end of the day we have the same dream, to bring about a better, healthier world for everyone. How could you not come, when you could…. Taste the best fruit the world has to offer! Devour the incredible buffet of MOUTH WATERINGLY DELICIOUS, SUPER SWEET, VIBRANT FRESH FRUIT. Get the chance to eat as much as you like instead of limiting what you eat because of your budget or time. Experience tropical fruits that you have never tried before. Like the amazing King of Fruit- DURIAN and the juicy fruit bubblegum flavour of JACKFRUIT to name just two. The flavours are out of this world and have to be tasted to be believed! Learn how best to shop for fruit to get incredible discounts. Learn how to store, ripen and prepare these foods for MAXIMUM INTENSITY OF FLAVOUR AND ENJOYMENT. have all your meals prepared for you by one of the world’s top raw vegan chefs and our incredible team. They will make sure that each meal is BETTER than the last and you will always get as much as you want! Go home with TONNES of new recipes and new recipe ideas. Get your creative juices flowing and have endless fun and pleasure making delicious new raw recipes in your kitchen. These will be not only more delicious than any cooked meal you could make but will be much healthier too. Lose all the fears, anxieties and worries that are holding you back. Let go of your old habits. Become the new raw superpowered version of your self. UNLEASH THE HEALTH GIANT WITHIN THAT IS DESPERATE TO GET OUT. Lose some excess weight rapidly. We get different reports at the festival about how much weight people can lose. Often people can lose 5 pounds or more in the 5 days of the festival. 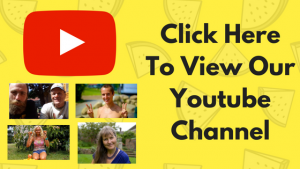 Meet some of your favourite inspiring raw vegan leaders and teachers. Get a chance to be up close and personal with them. Have a personal conversation and eat dinner with some of the best raw vegan leaders in the world. Get a chance to see for yourself how they eat, how they exercise and see the mindset they have which makes them stay raw successfully for the long term! Have the chance to try new exercises and activities. Get coached by experts to help you improve your performance rapidly. Some of our teachers are coaches who have worked with world champion athletes and Olympians, others are elite athletes in themselves. You will be amazed at what you can learn from their experience in just a few days. Give you your children a fantastic chance to meet other veggie, vegan and fruit based children. We always have games for the kids to play and make sure they have as good a time as everyone else. This year we want to give even more support to the childrens team as we are expecting even more kids this year than ever. Learn absolutely everything you need to know about a raw vegan or fruitarian diet. Heard about 80/10/10? Learn from the man who wrote the book Interested in the ethics of Fruitarianism? Learn from Anne Osborne, one of the world’s best known ethical fruitarians. Do you want to know about fitness, weight loss, detox, fasting, juicing, getting enough protein, fat, carbohyrdates, Vitanmin b12, Vitamin D and on and on?? You will get all your questions answered and take home with you new information to inspire and help others. Find new friends who are in alignment with you. Whenever we are making big changes in our life it is likely that we may outgrow some of our old friends. At Fruitfest, move towards new friends that will nourish you and help you grow to your greatest potential. If you are always the healthiest person in the room maybe you need to get around people that make you realise you still have room left to grow! Hear countless inspiring stories from the attendees of the festival. Some of the biggest value comes in hearing the life changing, heart opening, mind blowing stories about other people’s health journeys. We regularly have people who have been able to heal themselves from the depths of despair and hit rock bottom in their health. Through what they learned from this community and through the help and encouragement of the people in it they were able to recover to full health. Let me introduce our team of expert educators! This will be Kristina’s second time at the UK Fruitfest and she will be playing a big role. Not only will she be delivering the keynote speech at the start of the festival. She will also be hosting a woman’s circle; a powerful experience of healing and support. Also known as “FULLYRAW KRISTINA,” she has been widely recognized by many in her backyard, as well as across the globe, as the most popular RAW AND VEGAN CELEBRITY AND DIGITAL INFLUENCER of her time. Her success and popularity can be attributed to her electric and passionate personality and also to her drive to spread the message of HEALTH & WELLNESS. At the age of 18, she overcame Type 2 Diabetes (Hyperglycemic) by eating a FullyRaw Diet. This diet is now more widely recognizable as strictly fruits and vegetables in their raw and unprocessed states as found in nature. Over the last 13 years, she has INSPIRED many, and to date, she claims one of the largest social followings in her genre. Recognized as one of the fathers of the modern raw movement, Dr. Graham is guaranteed to educate, motivate, and inspire. He studied nutrition, primarily to enhance his own sports performance, from an early age. In college, where he majored in Health and Physical Education, he took every nutrition course offered. Going through his chiropractic training, he again took every nutrition course offered, studying nutrition every year while going through school. When his interest in natural hygiene took hold in 1981, he started studying nutrition from a new slant, and with profoundly greater understanding. During the past thirty years, Dr. Graham’s interest and enthusiasm for nutrition has never waned. He has authored The 80/10/10 Diet, The High Energy Diet Recipe Guide, Prevention & Care of Athletic Injuries, Grain Damage, Nutrition and Athletic Performance, and the recently published Perpetual Health 365. His most influential audio programs include Perfect Health, The Cause of Health, and Dr. Graham’s Health Series and he’s also created video seminars including Making Friends With Your Food and Raw Nutritional Science. Always one to see the big picture, Dr. Graham has become a leader in all areas related to food, farming, diet, nutrition, culinary skills, and even the related environmental sciences. There truly are few people in the world who have been so focused on helping people overcome health problems through proper nutrition, nor any who have followed their own advice so successfully. Rozalind is a mother, professor in Applied Nutrition, dance and fitness instructor and renowned Natural Hygiene teacher. She has been eating and teaching raw food for more than half of her life. Among her specialties is the emotional aspect of living, eating disorders and the proper nurturing of children. She is the author of the book “Stay fit after 50” and a 2-disc set “Nurturing Peace” with lectures about raw parenting and cultivating inner peace. Rozalind is a must see speaker and she will inspire and motivate you like no other. She often gets the highest rating on our feedback form. She is an expert at helping people overcome problems with eating disorders. Anne has been on the Fruit Diet for over 27 years, and raised two happy and healthy children on this diet. The fruit diet makes great sense to her on many levels – ethically, environmentally, anatomically, health-wise and spiritually. It is important to Anne to help share the wonders of the fruit diet as a healthy and rational way to eat and live. Anne had her book, ‘Fruitarianism – The Path To Paradise’, published in English in 2009, and in Italian in 2011. She thinks the way we eat and grow our fruit is vital in helping our planet to heal and be healthy. Anne loves walking, beaches, rainforests, kitties, vintage 50’s frocks, drawing, playing, dancing, music, and fruit! She lives with her younger son Cappi on the Sunshine Coast, Queensland, Australia. Grant Campbell, aka Raw Aussie Athlete, is an experienced ultra runner and YouTuber rising to new levels of athletic performance and quality of life since embracing a 100% fruitarian (80/10/10 raw vegan) lifestyle in 2005. Having overcome chronic asthma, allergies, and shyness on his path to self-love, Grant runs empowering retreats including his popular Thailand Adventure Retreat and the Bao Sheng Durian Festival. Volume 1 of Grant’s “Inspired To Run” book series is free upon sign up to his newsletter. Having completed over 65 ultras of up to 225km in 35 hours without sleep, Grant plans to run 100 miles at age 100! Melissa Raimondi is a raw vegan currently living in Canada and loving the winters eating uncooked meals. Create some healthy, delicious recipes this winter – or anytime – to keep you on your healthy lifestyle. Lissa is having a Raw Food Romance for the last 3 years. living in Canada and thriving in the winters living on fruit and greens, and low fat. After losing 70 lbs and healing countless health complaints, she embarked on a journey to help others experience their true healing potential. She has been sharing this journey through her Youtube channel which has grown to over 30,000 followers across the globe. Paul and Yulia are certified Nutrition and Lifestyle Coaches, parents, authors and international health speakers. They are dedicated to helping you become the healthy, fit and vibrant person you deserve to be. They are both certified Natural Health And Holistic Nutrition Practitioners with the University Of Natural Health in the USA. They run a popular TV channel called Rawsomehealthy with over 9 million views and they are followed by over 80,000 people across 4 continents. They have delivered talks and masterclasses around the world and have been featured in the Huffington Post, Daily Mail, The Mirror, Natural News, Mind Body Green, The Elephant Journal, Women’s Weekly, India Times, Blogtalk Radio, and other magazines, newspapers, blogs and websites. Ted made such a positive impact last year that we had to invite him back for 2018. Ted comes all the way from Canada and has developed a reputation over the last few years as one of the most inspirational people in the online raw vegan community because of his motivational talks and self improvement strategies. Practicing a fully raw diet for 9 years, Ted has used the diet to propel him to the highest levels of fitness as a triathlete, weight lifter and long distance runner. Harriet Kjaer was born Denmark, and after having lived around the world, she has now settled in Barcelona where she designed her life to suit her lifestyle. She is 43 years of age and has been raw vegan 80/10/10 for the last 7 years. She is an inspirational talker and gives running masterclasses and talks about lifestyle design, raw veganism, minimalist lifestyle and about her great passion of running. She is a mountain ultra runner and has been doing some of the most extreme races on this planet, and most importantly believes health is all about enjoying a healthy mind in a strong and energetic body. Roger King loves life, even when tough. Roger has counselled many souls on why and how to love the miracle they truly are. Roger has a huge impact on people at the festival. Many people ask “is Roger coming back?”. He has a unique ability to get everyone dancing! He is a writer on relationships and a trained Louise Hay ‘Heal Your Life’ facilitator. Roger loves being a fruit and veggie vegan, he loves to dance and is known as a ‘dancing DJ’. He lives near Hebden Bridge with ageing hippies like himself (Note: these are his own words!). This year when it comes to running the kitchen we have went for the best of the best. There is simply no one more experienced to run the kitchen of a raw vegan festival. You will love the simple yet delicious recipes that can be created just from raw fruits and vegetables. The best quality fruits and vegetables will be sourced from our produce partners. It is important to note that at this point it is almost impossible to accomplish this with a 100% organic selection. Therefore not all food at this point is organic. This is a superb venue for our event. It is situated on an idyllic lake with access to water sport activities. This is an incredibly easy and central place to get to for many millions of people in the UK as it is not too far from a major motorway. Registration on the 25th of July is between 1pm and 3pm. The festival will end at 3pm on the 29th of July. Traveling by Train The nearest train station is ‘Ashchurch for Tewkesbury’ a 7 minute drive away from Croft Farm (or a 40 minute walk along country roads with no pavements). Local taxi numbers are on the next page if you want to book a taxi in advance for when your train arrives/leaves. Trains to Ashchurch are frequent from major cities such as Manchester, Birmingham and London on both the Wednesday and the Sunday. If you want more train options you can also get a taxi from or to Cheltenham Spa (30 minutes drive away). To check train times from your nearest station go to www.nationalrail.com. Trains From The Airport There are train links from all airports to Ashchurch on the Wednesday. You will then need to get a taxi from the train station to the festival. Last year the first trains from Ashchurch on Sunday was around 2pm. If you need to catch an earlier train you can get a taxi to Cheltenham Spa (30 minute drive) where trains start earlier and are more frequent. There are also bus options from Ashchurch to Cheltenham Spa if preferred. To check different train times go to www.nationalrail.com To help plan your journey go to map.google.co.uk. Festival Bus We hope to provide at least one festival bus this year. Our registration process will allow you to mark down your desire to travel in the bus. We will check how many people want this service and contact you with further details closer to the event. Croft Farm has a number of different accommodation options. We have booked the chalets. These are simple yet comfortable and warm cabins. Most of these have 4 beds (2 bunk bed sets) and we have a limited number with just two beds (ideal for couples). You can view these on the Croft Farm website. We will split these chalets in to 4 types: men only, women only, couples and families. There will also be the ability to camp at the event or stay offsite in your own or alternative accommodation for a reduced rate. We have some different prices to try to make it more affordable to bring children and to encourage families to attend. Of course, we see it as being very important that families get access to all aspects of this lifestyle. We are going to have at least one volunteer who will be engaged in looking after children to allow parents to have some time to relax alone if they wish. Perhaps you look at Fruit festials and wonder why anyone would pay this to attend a Fruit Festival? The reason is simply that it’s hard to put a value on the benefits that have come to me from these festivals. What value can you place on friendships? What value can you place on inspiration or information? What value can you put on joy and fun? Whenever I go to a fruit festival, I always think I am adding years to my life. The relaxation, the fun, the positivity and the renewed passion for life on top of the life changing information all make me realise that this will end up being one of the best investments ever. I recently read an article which stated that over the past decade, an abundance of psychology research has shown that experiences bring people more happiness than do possessions. Researchers at Cornell University in the US are working on exactly why this is…. but is it not SO TRUE? end up getting bored with them pretty quickly. On top of memories, the friendships that can be formed at these events can be so deep and so long lasting. Fruit festivals seem to attract a genuinely great group of people; open, ready to learn, easy to talk to and with a zest for life that is rare in the world. Imagine going to a whole event filled with these kinds of people. It is a total joy! This is such a rare experience, make sure you grasp it with both hands! After all, aren’t we here on Earth to expereince all that life has to offer? The highs and lows, the emotions and rollercoasters. We should charge ahead boldy and make our life the adventure that it should be. Yes, I’m ready to come to Fruitfest, how can I make this happen? This is the price to attend for one adult in a shared cabin. The price covers your accommodation, all your food and access to all of the classes. As you can see, it compares favourably to the other events. In fact, for what we offer we like to think we put on the most valuable Fruit Festival in the world! Up to 2 weeks before the event, you can ask for and you will receive a 100% refund. This means you will be able to sign up now and should ANYTHING happen to you, you will receive ALL OF YOUR MONEY BACK. No cancellation fees or admin costs. Surely, you will agree, that this gives you ultimate peace of mind in knowing you can register with no risk. Right now you can take advantage of our mid term pricing. Prices will be rising soon by £300 per person on average. Celebrate our 6th Birthday with us. It is always the people that make the event so incredible. A unique group like this will only come together once in a life time. Come and be part of this special group and create your own Fruitfest memories. Experience more fruity, sunny, sweet days of summer surrounded by friends and support. Become a healthier, more energetic version of yourself for up to 8 days. Start the process of losing that excess weight, shedding the chrysalis of the old you and stepping into a new you; full of strength and passion for creating a better life for yourself. I look forward to meeting you. Our presenters look forward to serving you. The fruit you will eat is currently on a tree somewhere, ripening in the sun, waiting to be picked and transported directly to your plate at the UK Fruitfest. TAKE ACTION. Spaces are limited and we have close to 5000 people eagerly awaiting more information on the festival. Many people from previous years are already desperate to come back. If you have any problems with signing up…. email support@fruitfest.co.uk and we will resolve your issue. Join the adventure of a lifetime, seize this opportunity while it lasts. Get in touch now to reserve your spot at what is fast becoming the greatest health festival in the world! Stay fruity and come to Fruitfest! P.S This years Fruitfest is going to be better than ever. Though we don’t have the full schedule ready to show you, I can guarantee we have great plans for more fun and enjoyment. Some of our best loved speakers like Rosalind Graham, Doug Graham ,Ted Carr, Anne Osborne and Paul and Yulia Tarbath are all coming back again as well as brand new speakers. We are still working on bringing another very well known mystery guest. We are taking the kitchen up a notch with a specially selected and highly trained professional team. The food is going to knock your socks off! You will really see how easy, fun and delicious it can be to go raw. Come to Fruitfest. Get the information and inspiration to change your life and reach your greatest potential. If you wish to register for Fruitfest please visit our website today, this is when registration opens. You can also contact me with any questions. Please phone me to arrange that on 07936 875 064. There is no need to pay in full up front. Payments can be split up affordably over the next 2 months. You could end up paying as little as £14 per week. Can you afford to miss this opportunity of a lifetime? Get in touch now!